Continuous glucose monitoring (CGM) devices are FDA-approved to provide real-time glucose readings 24 hours a day, thereby allowing patients with type 1 or type 2 diabetes to closely track glucose levels and trends. Typically, CGM reports blood sugar levels once every 5 minutes, thereby providing 288 glucose readings per day. Although CGM was first introduced in 2006, technological advances have made it increasingly reliable and its use is becoming more and more widespread today. If you are considering CGM, learn more about it and then contact your health care professional to see whether it may be a good fit for you. Alternatively, your doctor may have recommended using a CGM device to help you better manage your diabetes. In this case, before you use one, understanding how one works would be helpful. How Do CMG Devices Work? A receiver, which was previously a rather cumbersome wireless pager-like monitor that displayed glucose levels and trends. Using bluetooth technology, newer devices on the market, such as Dexcom 5, allow blood glucose information from a transmitter under the skin to be sent directly to compatible smart devices, including iPhones and iPads. Patients who complained about the number of components in traditional CGM will be pleased by the more streamlined newer versions. CMG devices like the Dexcom 5 also include user-friendly cloud-based reporting software. When blood glucose information is received by a smart device, it is then transmitted via the cloud to up to 5 followers. The information can then be easily accessed at the doctor’s office, facilitating the tracking and analysis of patterns and displaying trends in graphical form. The use of CGM is still somewhat controversial, with various pros and cons outlined below. Although CGM delivers blood glucose readings automatically at short intervals, multiple daily finger sticks are still required in order to calibrate the CGM. The CGM machines yield lower glucose readings when compared to venous blood glucose, when sugars are rapidly rising. Many argue that the true benefit lies in the detection of hypoglycemic episodes. However, data suggest that CGM may become increasingly inaccurate at low glucose ranges. CGM machines are expensive, with initial costs ranging between $1,000 and $2,000, and are available by prescription only. In addition, supplies cost between $300 and $450 per month, including sensors which should be replaced every 3 to 7 days. CGM certainly helps detect trends in blood glucose levels, even if the measurements are not entirely precise. For example, CGM can help show early morning spikes or dips in blood glucose at times when most people aren’t checking sugars frequently. CGM can help clarify the effect of diet and exercise on blood sugar levels. Users can set alarms to alert them when glucose levels are too low or too high. In some large trials, CGM lowered hemoglobin A1C by 0.3 to 0.5 percent when compared to traditional fingerstick glucose checks. In these same trials, CGM slightly reduced the incidence of hypoglycemia. CGM can also be used with insulin pump therapy. A sensor-augmented pump (SAP) combines the technology of an insulin pump with a continuous glucose sensor. Studies are currently evaluating the efficacy of a system in which insulin delivery is based on the CGM data. Patient selection is a key component to successful CGM use. 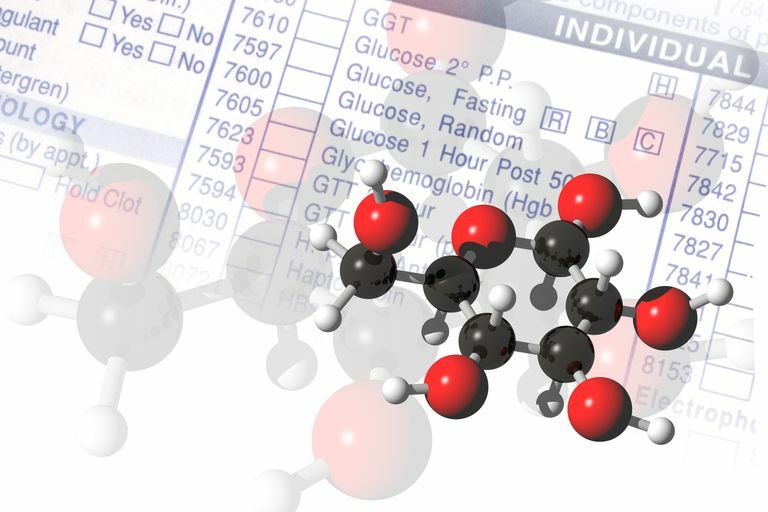 The Endocrine Society Guidelines recommend CGM for adult patients with type 1 diabetes with A1C levels ≥7 who have shown that they can use these devices nearly every day. In addition, it is crucial that selected patients demonstrate an understanding of the CGM technology in order to reap the maximal benefit. The intermittent use of CGM may be appropriate for patients with overnight hypoglycemic or hypoglycemic unawareness (inability to self-detect hypoglycemia). It may also be beneficial for patients with type 2 diabetes who have overnight hypoglycemia or frequent episodes or hypoglycemic unawareness. Klonoff DC. Continuous glucose monitoring: a roadmap for 21st-century diabetes therapy. Diabetes Care 2005; 28:1231. Hirsch IB. Clinical review: Realistic expectations and practical use of continuous glucose monitoring for the endocrinologist. J Clin Endocrinol Metab 2009; 94:2232.